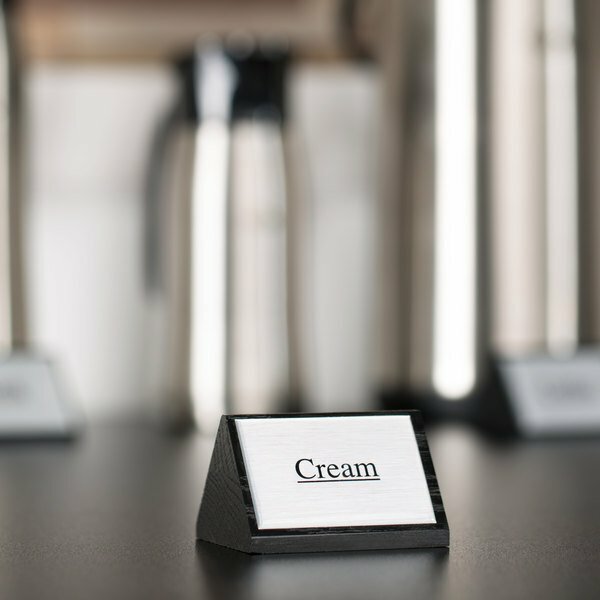 The American Metalcraft SIGNCR11 black wooden "cream" sign is perfect for restaurants, hotels, catering, and other food service businesses who need to distinguish between different beverages in closed containers. 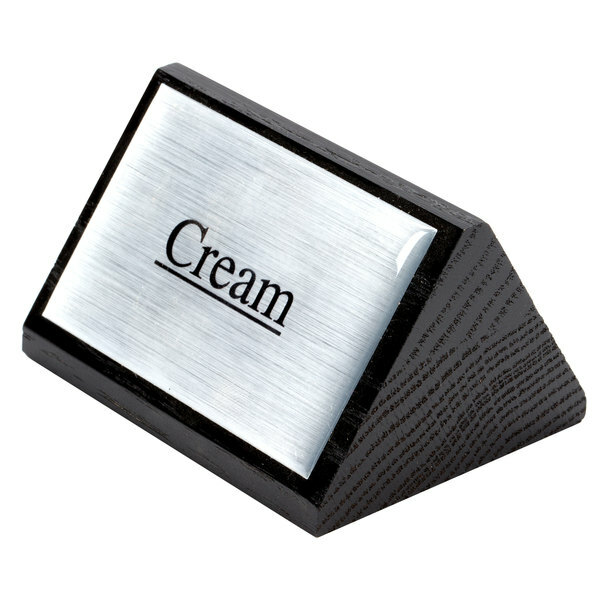 The triangular wooden block features a sleek silver label with black lettering, allowing it to stand out on the table or countertop and be easily read from far away. 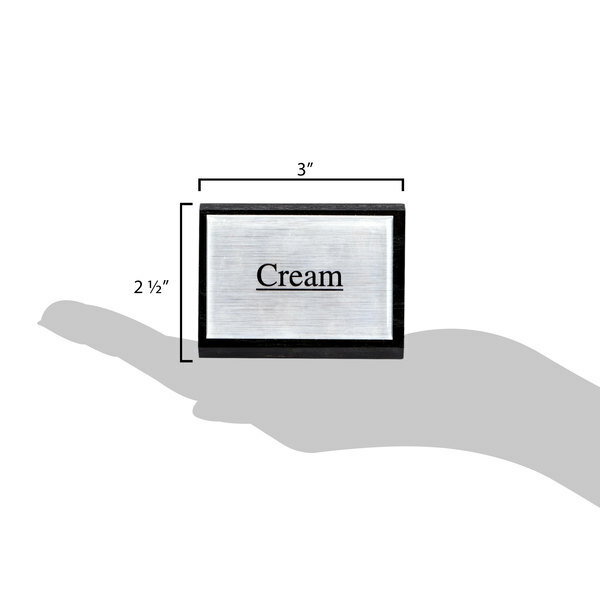 Constructed from durable wood, this table tent sign will withstand frequent use without bending or scratching. 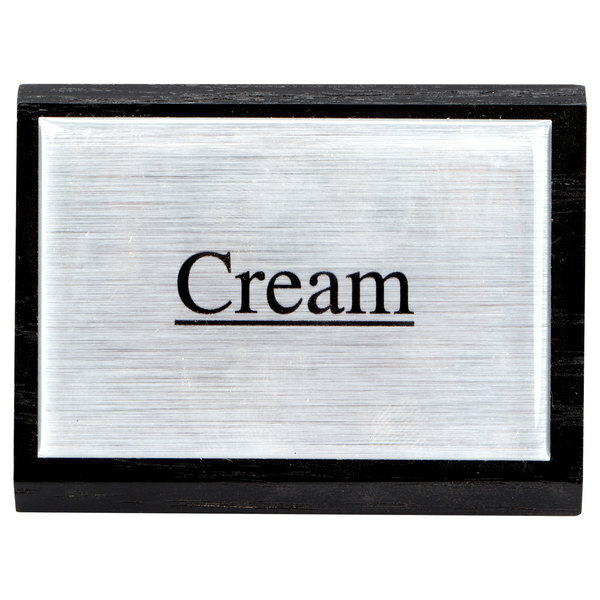 The black wood, silver background, and black lettering also adds a more professional look to any tabletop!